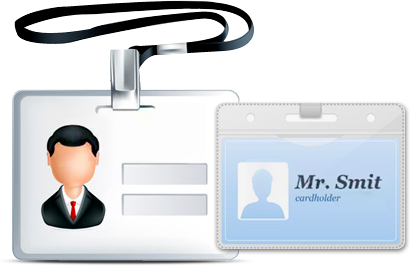 Faculty ID card and other type of ID cards. 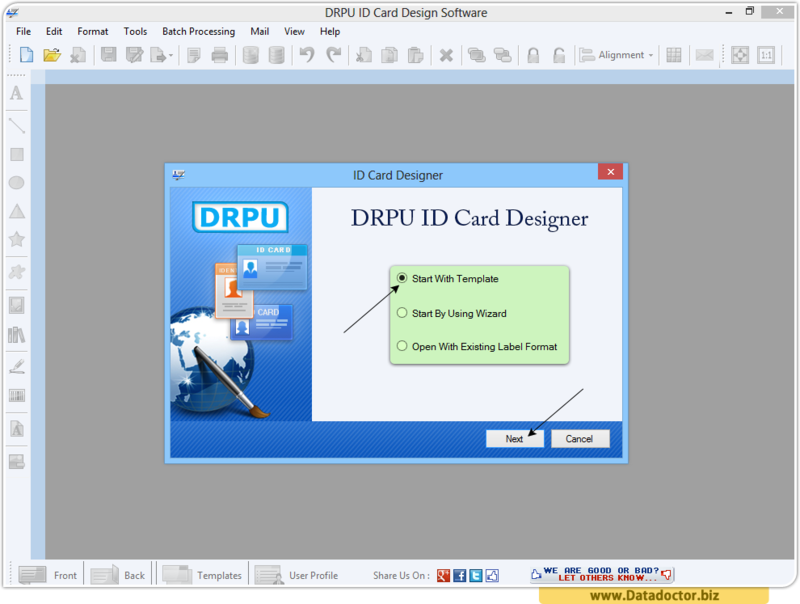 You can see Designed ID Card's front and back using DRPU ID Card Design Software. 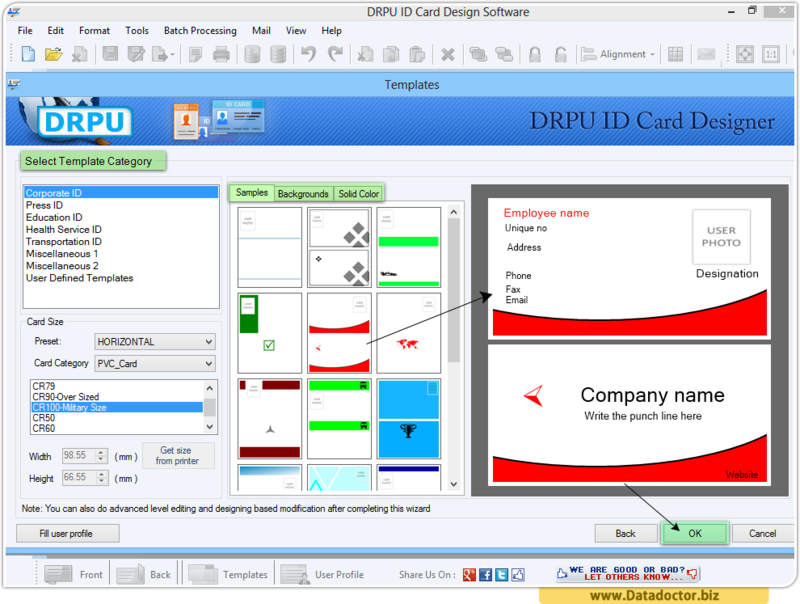 How to Design Employee ID Card? 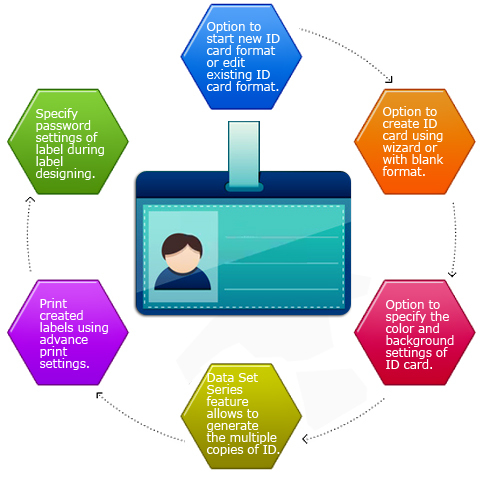 To design ID card, choose any one option among Template, Wizard and Existing label format. 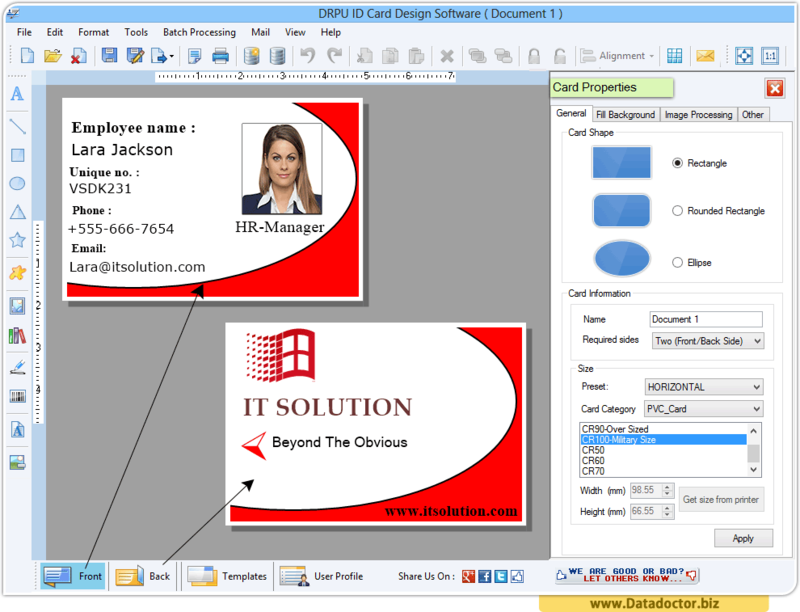 Select Template category to choose background image that you want to use on your id card. 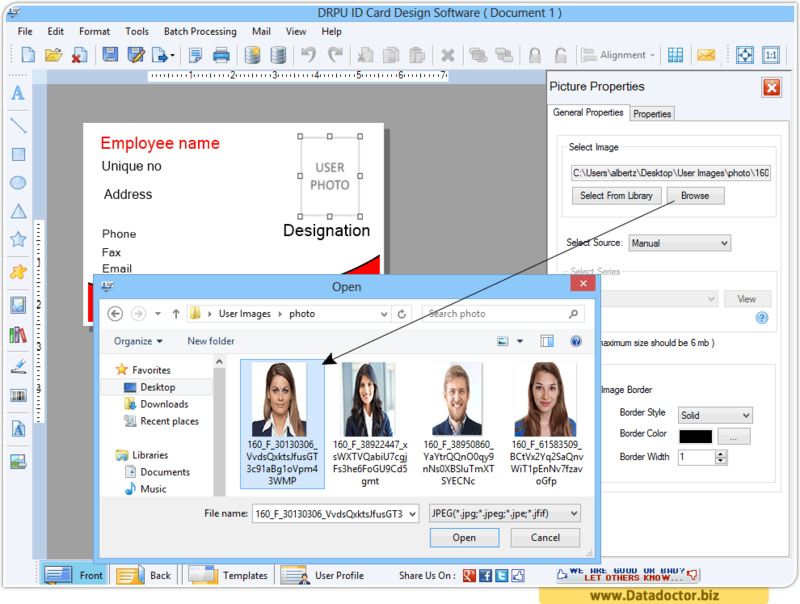 Using picture properties you can choose employee picture from your system to apply on your id card. 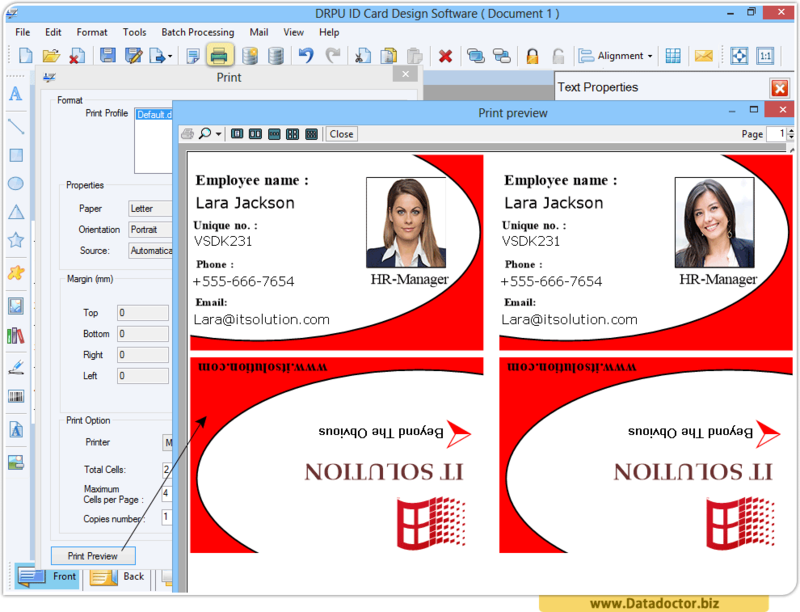 And using text properties you can specify employee name, position, unique id with different font style and color. 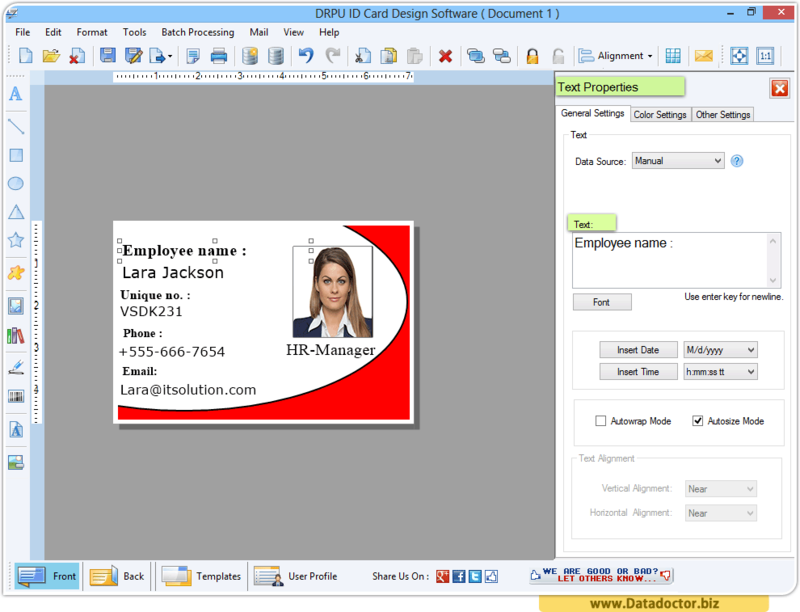 Click on print preview button to see your designed id card before print it.